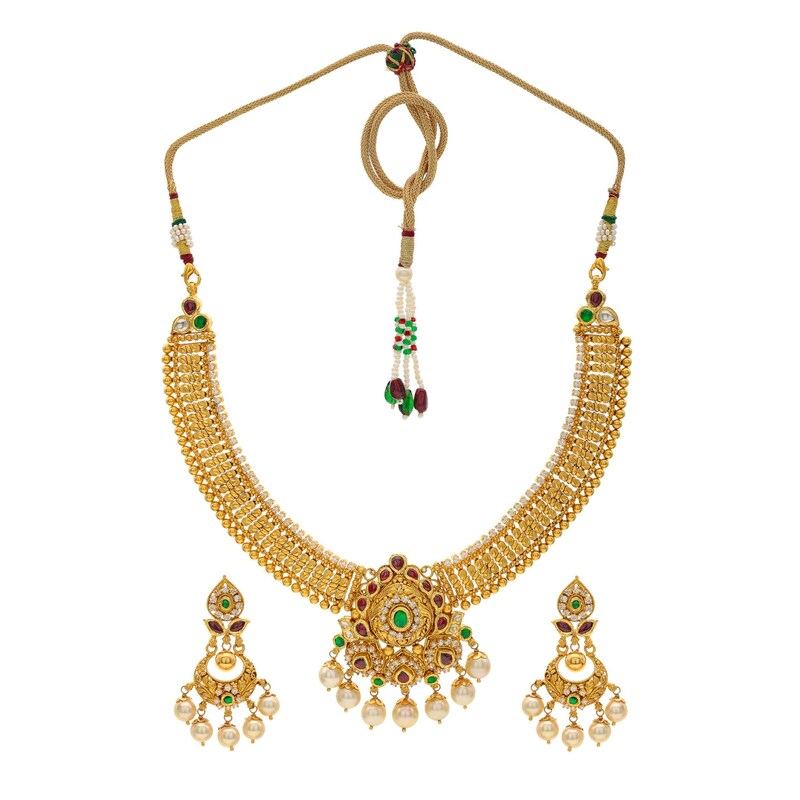 This Kundan set has a wide necklace along with semi chand baalis dropping out of a leaf. 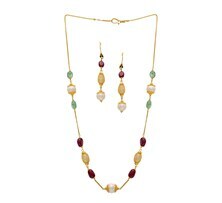 With a hint of red and green, this set is a wedding season favourite. 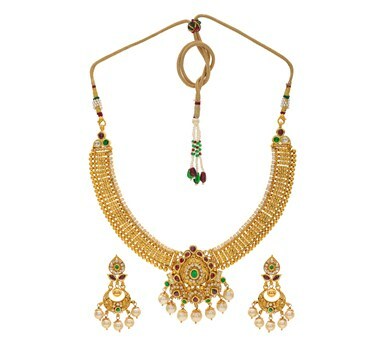 This Kundan set has a wide necklace along with semi Chandbali dropping out of a leaf. 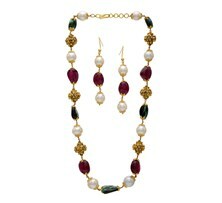 With a hint of red and green, this set is a wedding season favourite.